At the Rotorcraft Asia Conference this year in Singapore, Bucher is once again presenting their innovative modular HEMS systems. Due to its ergonomic design and easy handling our system has been selected by various HEMS operators. Configurations for both HEMS systems the H145 AC70 and H135 AC67 are completely customizable. It is in use worldwide with major operators such as ADAC Luftrettung and DRF Luftrettung. We are continuously working to keep our system on the cutting edge of current trends and provide our customers with optimal design and usabilty. Our 1:8 model provides the oppurtunity to test the modular system in person. 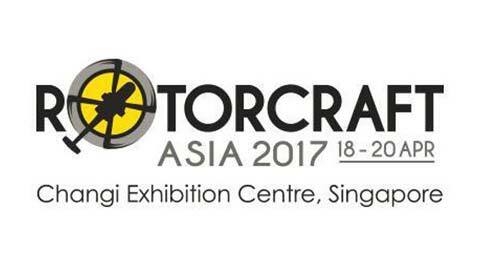 Visit us from April 18-20 at the Rotorcraft Asia 2017 in Singapore and experience our unique HEMS systems. Our experts are looking forward to welcoming you at the Swiss Pavillion, Stand #L10. Contact Rolf Kraus (rkraus@bucher-group.com /+41 44 806 24 28) if you would like to make an appointment in advance. Let us inspire you at AIX 2019!